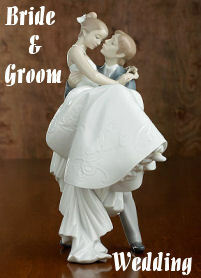 Lladro figurines, both new and collectibles, are known, and desired, for their tribute representations of life’s special moments, and some of the most expensive Lladro pieces represent some really BIG special moments. 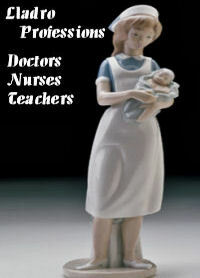 Although typical Lladro collectible figurines are much more affordable, (and reasonably sized), here are a few examples of just how valuable a Lladro collectible can be. The most expensive retail priced Lladro piece ever – “A Grand Adventure” was created as a limited edition issue of 500 pieces in 2002. Although possible that private auctions or arrangements of a Lladro porcelain may have exceeded this price tag – it remains the most expensive retail priced piece Lladro has ever produced. It may also be the largest piece produced, at a staggering 17 x 53.25 inches. 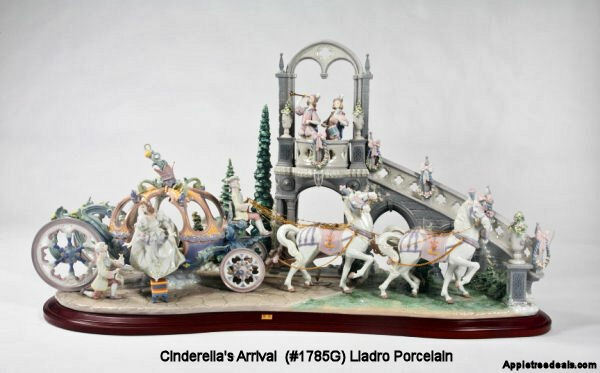 Although not the most expensive Lladro piece ever, a “Cinderella’s Arrival” porcelain was recently sold for a whopping $26,400 in an auction sale. 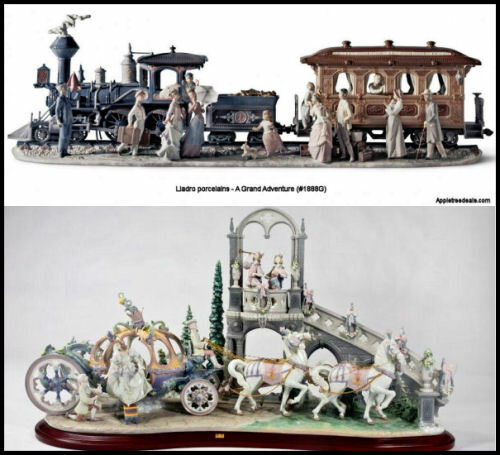 Lladro issued Cinderella’s Arrival as a limited edition of 1500 pieces in 1994. Properly referred to as a “huge” piece, this 26 x 42.5 inch porcelain is a complete display all by itself. 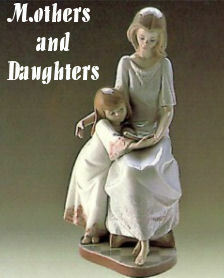 It certainly won’t be joining other Lladro figurines on a shelf. But you can still by one for yourself – only $29,025.00! Even though most Lladro figurines on ebay go for very reasonable prices, it is not too unusual to see pieces selling for thousands. This Lladro piece, like Cinderella’s Arrival above, is also a very large piece at 33 x 16 inches. It sold in a Buy-it-now/Best Offer format for around $6,500. 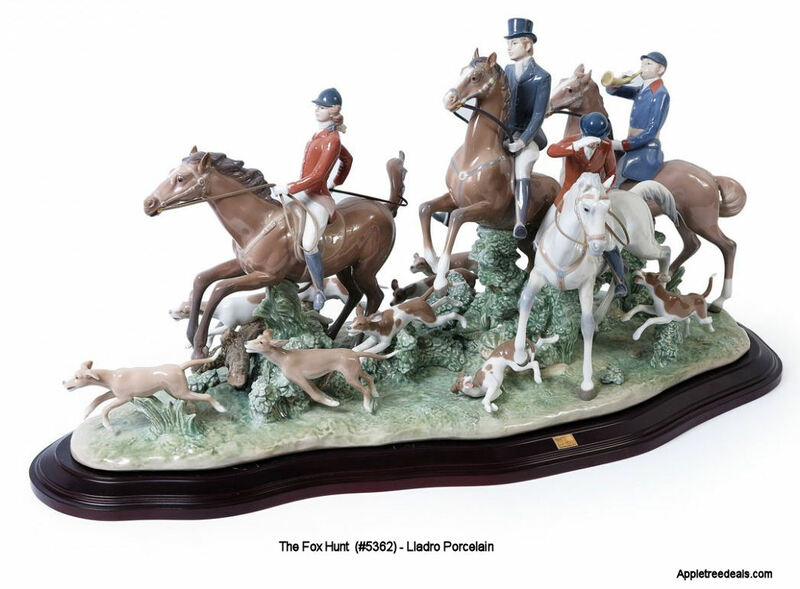 *Another similar “Fox Hunt” figurine sold for $4000 in an auction format between 12 bidders! 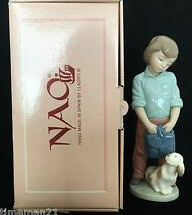 ebay sellers list thousands of Lladro figurines everyday. 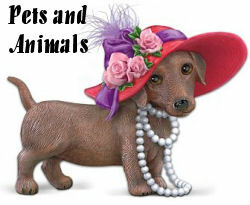 It is the best place on the ‘Net to find that special Lladro piece for your collection. Or as a gift for someone special.